One of the unique things about my profession is that I routinely get paid to discuss the embarrassing, wild and sometimes just ignorant things people do. What cannot be stressed enough is that you have to be honest and forthright with your attorney. If you hold something back and do not disclose the full story it can come back to bite you. Being bitten could mean not getting custody, having to pay attorney’s fees, going to jail or any combination of these. What are Examples of Dirt you ask? 11) Prescription drug for which you do not have a prescription. 13) Are on probation from any crime. 18) Are you under investigation? 24) Expending large sums of money on frivolous things. These are just 24 examples of DIRT that I saw…last week. These dirty deeds may be done dirt cheap, but it’s going to cost you to clean it up! 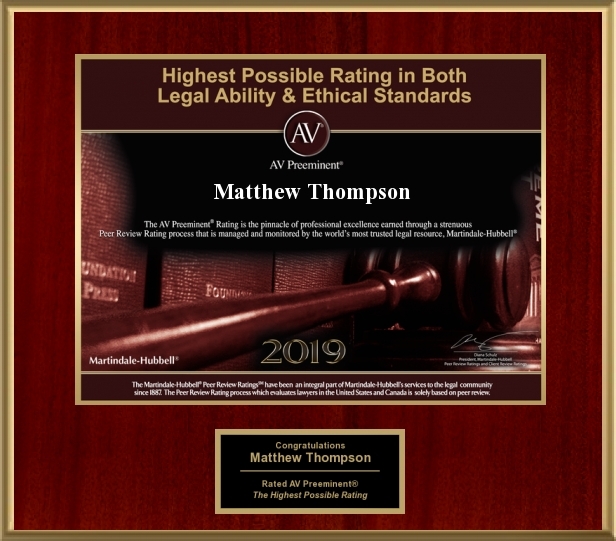 Matthew Thompson is a family law attorney in Mississippi and can only attempt to clean up the DIRT that the client admits.